-With the overtime loss, Los Angeles fell to 60-51-26 all-time against Anaheim, a record that includes a road mark of 24-30-15. 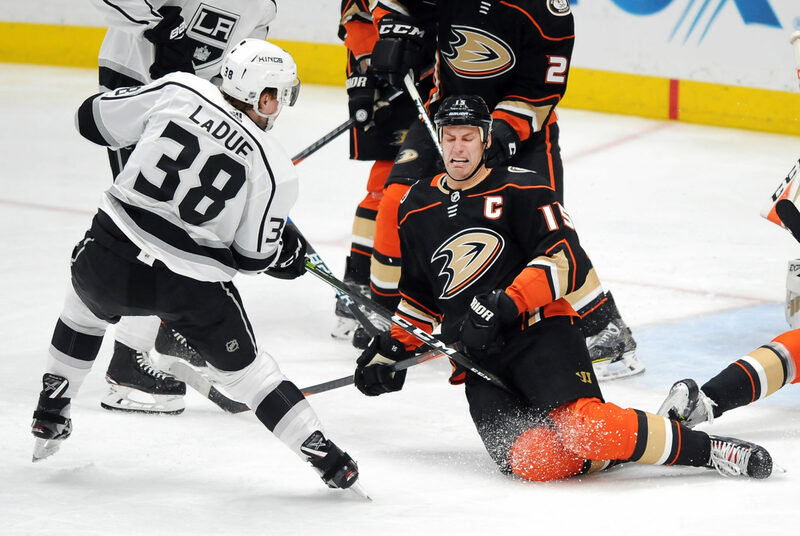 The Kings finished the season series against the Ducks with a 2-2-1 record, with three of the five games going to overtime. Los Angeles has not won the season series from the Ducks since 2012-13, when they went 2-1-1 and Anaheim was 2-2-0. 17 of the last 24 games between the teams have been decided by one goal. Though the teams combined for 137 penalty minutes through the first four games of the season series, the only penalty assessed was a delay of game – puck over the glass minor on Alec Martinez. The Kings finished the season with a 13-11-5 record against the Pacific Division. -With the overtime loss, Los Angeles fell to 22-18-7 against the Western Conference, 13-11-8 in one-goal games, 23-3-4 when scoring first, 17-3-3 when leading after the first period, 12-5-3 when tied after the second period, 10-8 in games decided past regulation and finished 8-4-3 in March. -The Kings fell to 8-7 in games decided in overtime in 2017-18 and 32-14 since the switch to the 3-on-3 format prior to 2015-16. Their 32 wins and .696 winning percentage lead the league over that span. Overtime game-winners against the Kings have been scored by Ryan O’Reilly, John Moore, Jaden Schwartz, Esa Lindell, Mikael Granlund, TJ Brodie, Shea Theodore, Sean Monahan, Viktor Arvidsson, Christian Fischer, Jordan Eberle, David Perron, Kyle Connor and Rickard Rakell. -With a 1-for-1 performance, the Kings have killed off 31 of 32 penalties since the Chicago game on March 3, including a string of 20 successful kills over the last eight games. They lead the league with an 85.1% penalty killing percentage. -With his first period assist, Anze Kopitar became the eighth King to record 90 points in a season and the first since Wayne Gretzky, who recorded 130 points in 1993-94. He edged past Ziggy Palffy (89 points) and Luc Robitaille (88 points), who neared 90 in 2000-01. He has 66 points (24-42=66) in 64 career games against Anaheim. -Derek Forbort logged 26:44, the second highest TOI of his career (26:52; January 1, 2018, 4-2 W vs NYR). -Los Angeles attempted 51 shots (29 on goal, 12 blocked, 10 missed). Anaheim attempted 71 shots (33 on goal, 18 blocked, 20 missed). Tyler Toffoli and Jakob Silfverberg tied with a game-high six shots on goal. -The Kings won 20-of-52 faceoffs (38%). Adrian Kempe won 0-of-1, Anze Kopitar won 9-of-20, Trevor Lewis won 2-of-4, Nate Thompson won 4-of-9, Michael Amadio won 2-of-4, Torrey Mitchell won 1-of-4, Tyler Toffoli won 0-of-1 and Jeff Carter won 2-of-9. Saturday, March 31 is an off-day for the team. The Kings are scheduled to practice next on Sunday, April 1 at 10:00 a.m. at Toyota Sports Center.